Hello, friends! And welcome!! 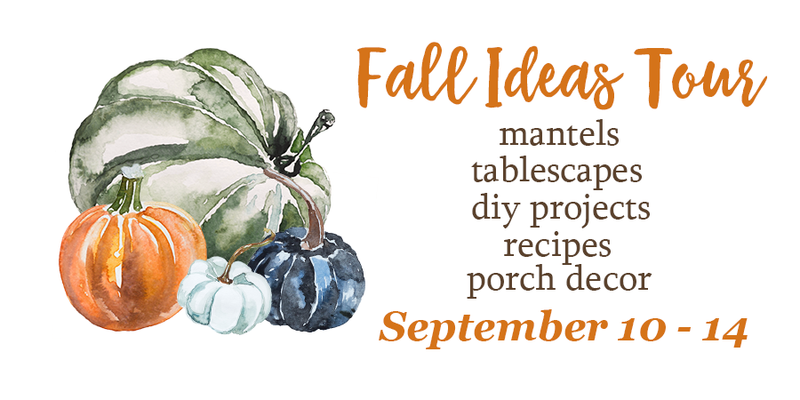 Today I've got a real treat for you with lots of great ideas for fall decorating and diy's plus some yummy fall recipes. 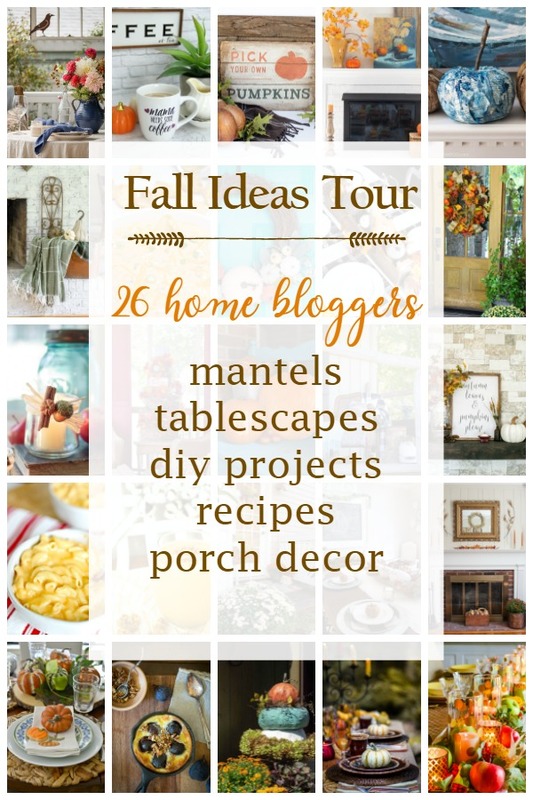 It's the annual Fall Ideas Tour, and this year there are 26 of us bloggers sharing some of our best with you. The tour is going on all week and you'll have something new to look forward to each day. The full lineup is at the bottom of the post. 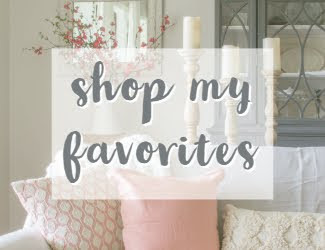 Be sure to visit all of my talented blogging friends! If you're visiting from my touring friends and are new here today, you can go HERE to learn more about this site. 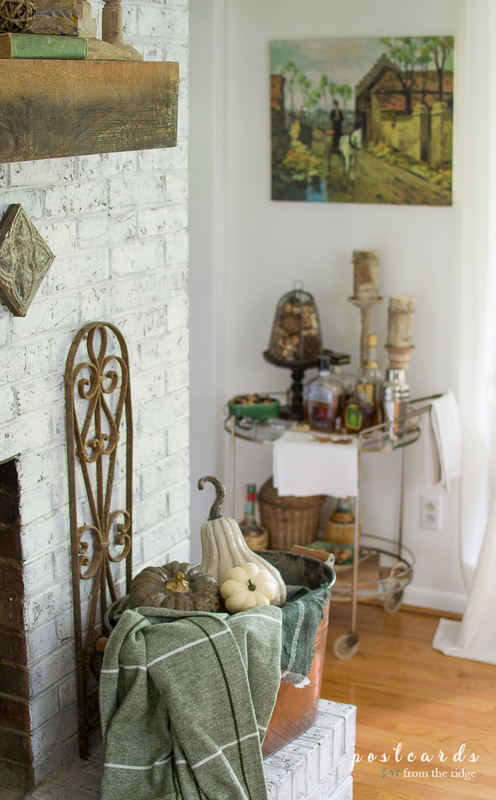 I'm sharing my rustic, vintage themed fall mantel with you. 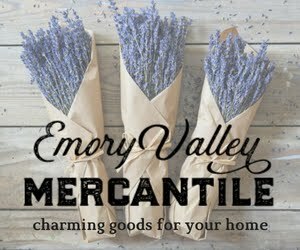 It's an eclectic,cozy mix of mostly vintage items with a few newer pieces that have a timeworn look. 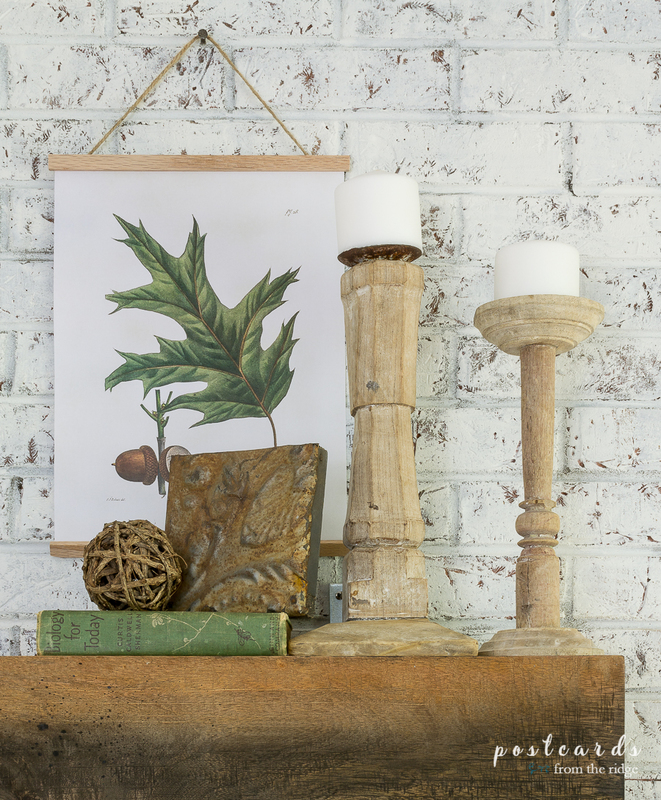 Two things I've been crushing on lately, the color green and antique botanicals, are the focus of this year's fireplace mantel. I know, green isn't really a traditional fall color, but I'm okay with that. A few pumpkins add a bit more fall flair, and the rusty vintage iron fence sections have a nice warm hue to them. 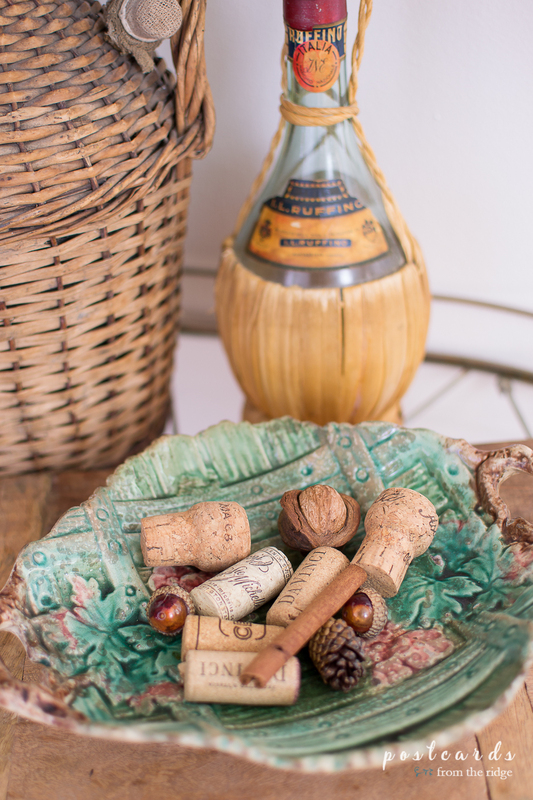 The fall decor with the green theme even spilled over to my vintage bar cart. Up on the mantel, there's lots of patina with the vintage books, found wood candlesticks, and the painted piece of wood moulding. 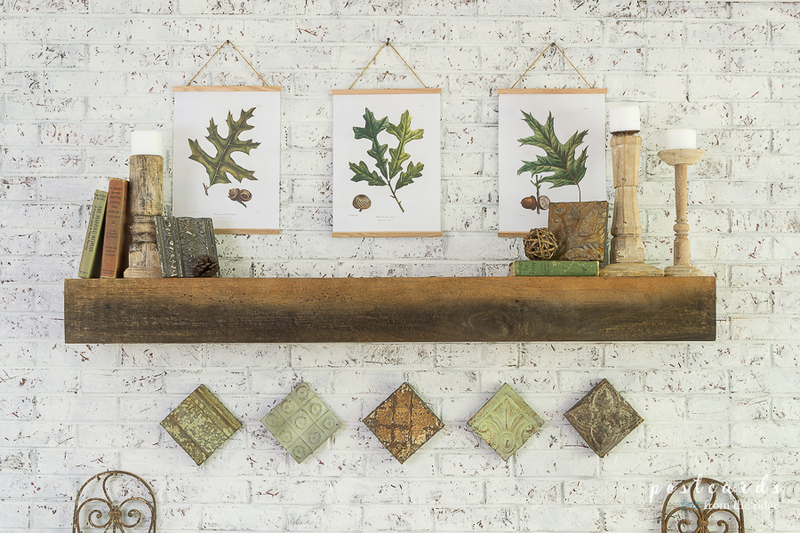 And the vintage oak leaf botanicals add that green that I'm loving so much these days. More rusty metal with the little vintage tin tile plaques. I seem to have a thing for rusty metal too. Have you noticed? What can I say. I love things with character! The oak leaf scientific illustrations are from a collection that dates back to 1841-1849. I'm obsessed with this type of vintage illustration and find myself spending way too much time researching them and admiring them. 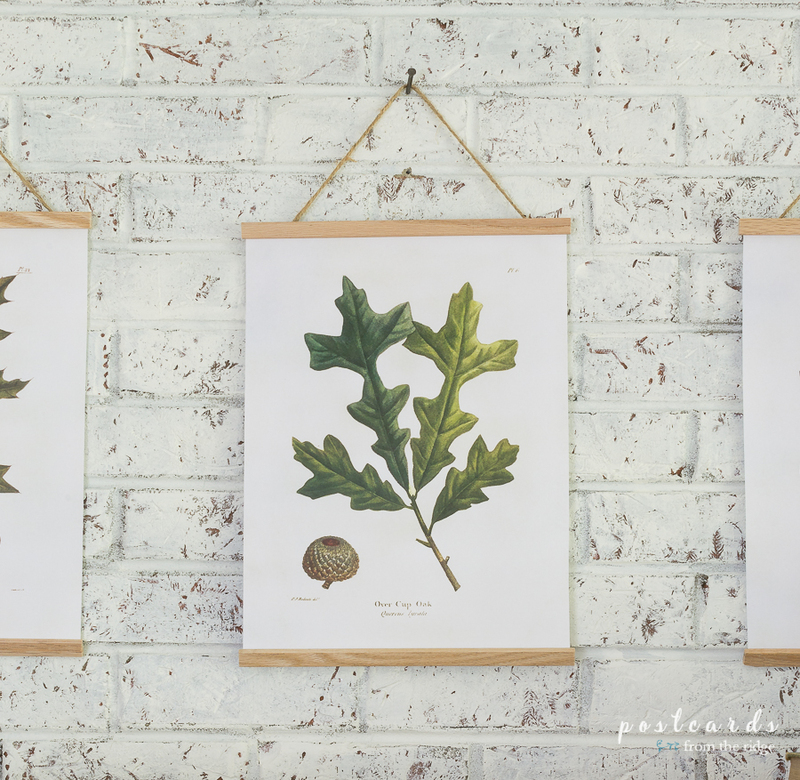 Back in the spring I shared some floral botanicals and a simple tutorial for framing them like these oak leaf prints. You can see how to do it HERE. For a limited time, I'm offering these 3 as free printable art. I've seen similar art like this recently for much more. If you're a subscriber, just click below, re-enter your email address and the info for downloading them will be sent to your inbox. Thanks so much for dropping by and taking a peek at our fall fireplace and mantel decor. 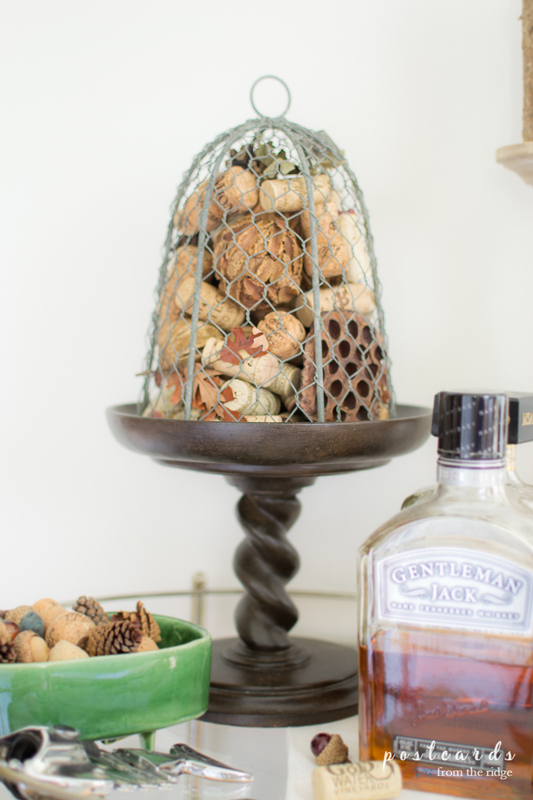 Keep scrolling to see all of my friends' fall ideas and be sure to visit them all. 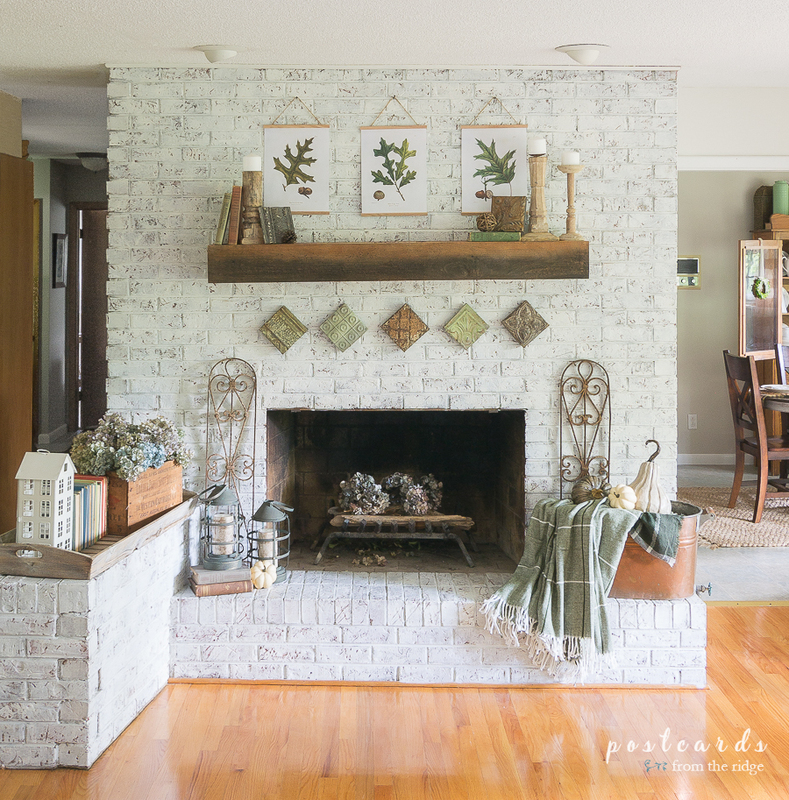 You can see the my tutorial for the painted brick finish HERE. See last year's Fall Ideas Tour HERE. 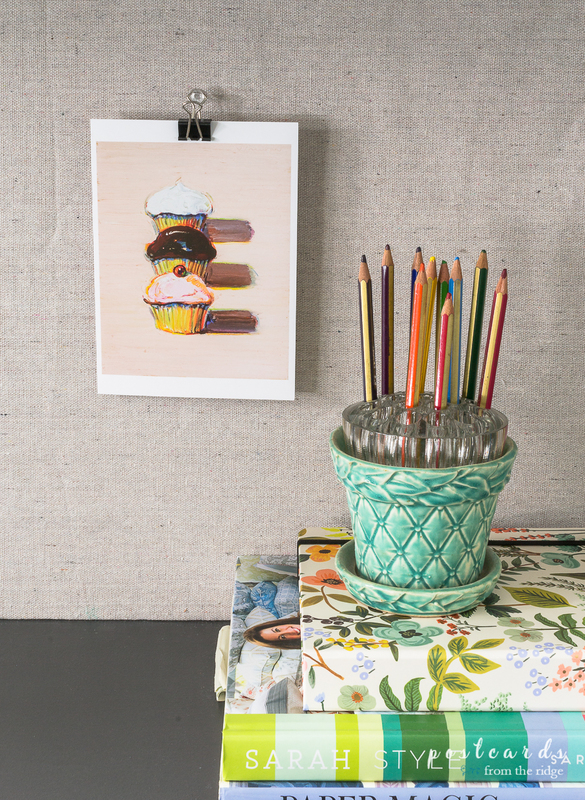 See the 2016 Fall Ideas tour HERE. All of my fall decorating ideas are HERE. 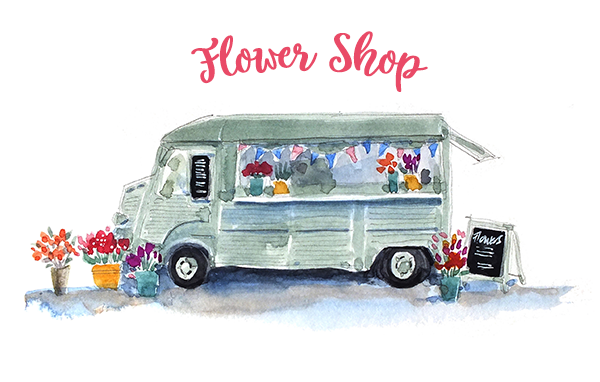 To visit my online shop, go HERE. Your mantel is fabulous this year, Angie! 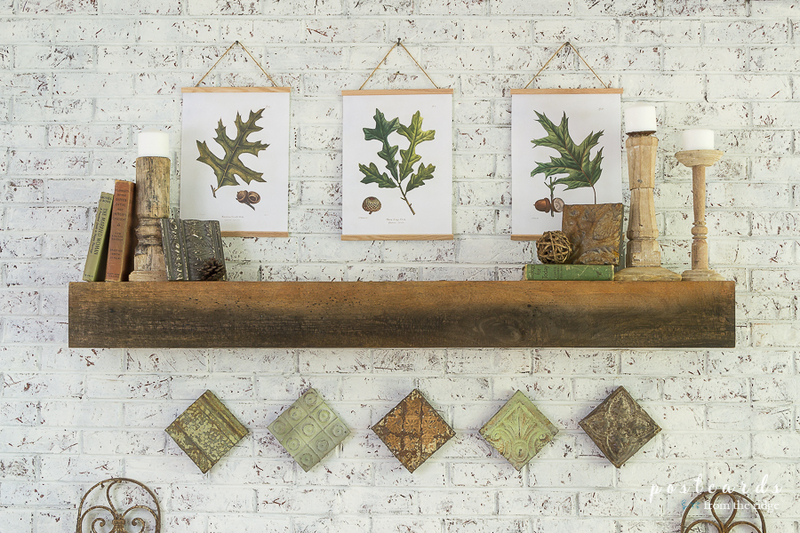 And I am SO in love with those oak leaf prints! Thank you so much for putting the annual Fall Tour together again. Thanks, Suzy! I'm obsessed with vintage prints these days! And thanks for joining the tour! Your mantel is gorgeous! Angie - Your are so right about green and the botanicals! 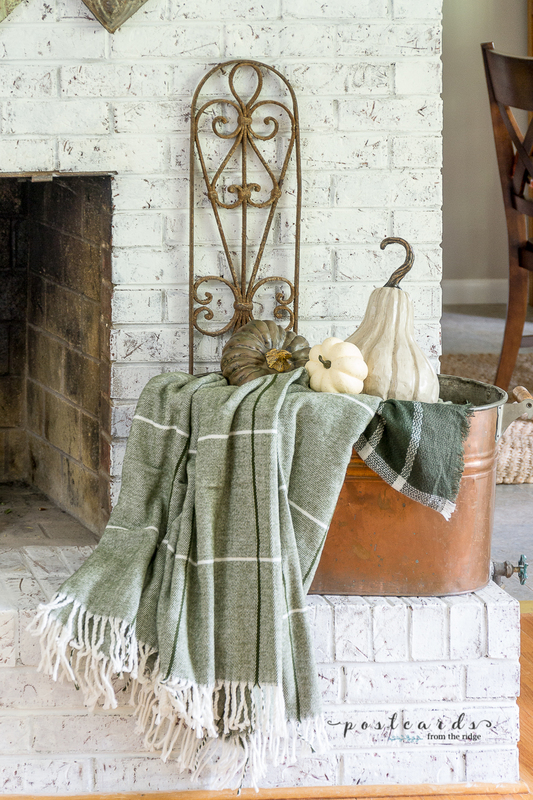 The pairing makes such a beautiful statement for Fall - your mantel is beautiful! Thank you so much for hosting this annual Fall Tour! Aw thank you! And I'm so glad you're on the tour again! I LOVE your blue fireplace decor. Love, Love, Love your entire fireplace scene. I too am a sucker for botanical illustrations and have written about them several times. I could enjoy this decor all year round. Thank you, Patti! I think I could live with this year round too. Green is such a soothing color. I'm so glad you joined the tour this year! Beautiful fireplace! I'm also a fan of botanicals, yours are fabulous! Thanks so much! I'm addicted to them lately! Have a great day. 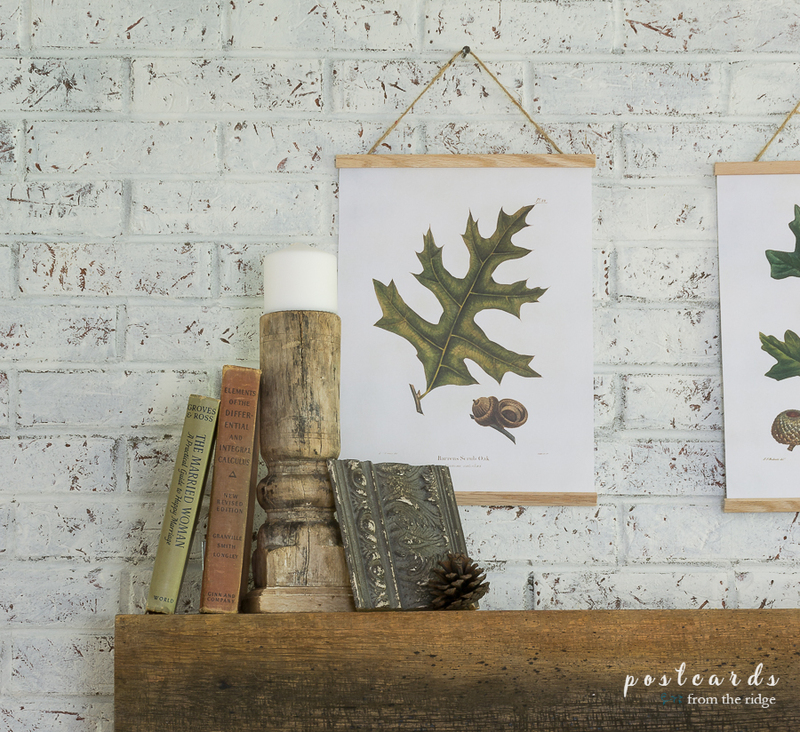 Your mantel is beautiful ... and I love the oak leaf printables! They'd be beautiful year round! Thank you! I think I could live with them year round! I love your mantel! I just started decorating for fall and I'm finding myself using lots of greens this year too! Thank you! There's just something soothing and peaceful about using greens. Your mantel is absolutely beautiful! I love the idea of using green as a color for fall decor. Seeing your pretty vignettes that incorporate green is giving me ideas for decorating my family room for fall. It's on my list for this week and you've certainly inspired me. 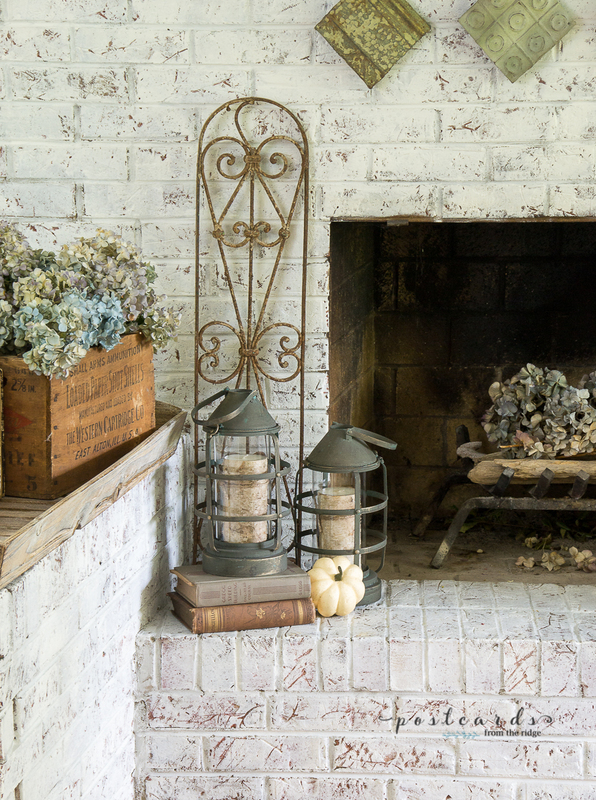 As always, I love your decor style, and this fall mantel is a stunner. Thanks so much, Paula. You're so very sweet. And I can't wait to see what you don in your family room! I love the patina of the green, and the copper! Everything looks incredible! Thanks, Cindy. And I'm so glad you joined the tour this year! Just lovely!!! Your home looks perfect for the fall! Pinned! Love your mantel... it's so cozy and warm with those copper and greens! LOVE those printables too! Thanks, Maryann. So glad you're part of the tour again this year! Such a beautiful mantel, Angie! And those printables are truly stunning. You have given me some great ideas for decorating for fall with green! And those fall leaf prints will look awesome in our green kitchen! I happen to have a vintage platter that has green leaves on it! Awesome mantel, Angie! Ooh, can't wait to see how they look in your kitchen, Jane. Be sure and tag me in any photos. So glad you're part of the tour again this year! Beautiful fall decor! I love green so much my living room and dining room walls are a warm medium green and I love it. I find that it works with pretty much all colors (just as all flowers have green leaves! )and all seasonal decor from spring through Christmas. I think of green as very much a neutral. Thank you! Yes, I agree that green works with so many different colors and seasons. Such a versatile color. Thanks for dropping by and commenting! Your fall decor is absolutely gorgeous. I love the bold simplicity of it....p.s. I also realized I'm not a subscriber so I just subscribed so I can get those gorgeous leaf printables. Thank you Mary Beth. And thanks so much for subscribing! I'm glad you joined the tour again this year! Such a pretty fall mantle, Angie! Love the botanicals and your green fall theme. Thank you Kristi! I'm so glad you joined us for the tour this year! Thanks so much for organizing this fabulous tour, Angie. 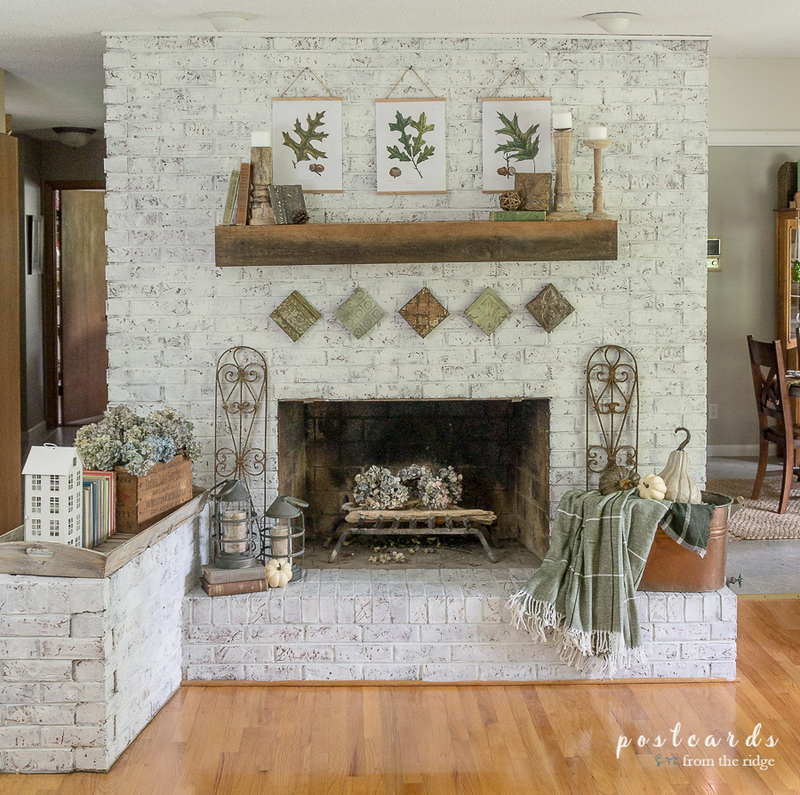 I'm in love with your mantel, and I am definitely grabbing those printables to use somewhere. Angie, everything looks fallish and fabulous. I love the green, wood, and copper elements. Everything looks so warm and inviting. omg I LOVE those printables! so pretty and big thanks for the freebie!!!! Love the soft subtles, Angie! The botanical prints are awesome! Hi Angie! Your mantel and home are beautiful all decorated for fall!!! 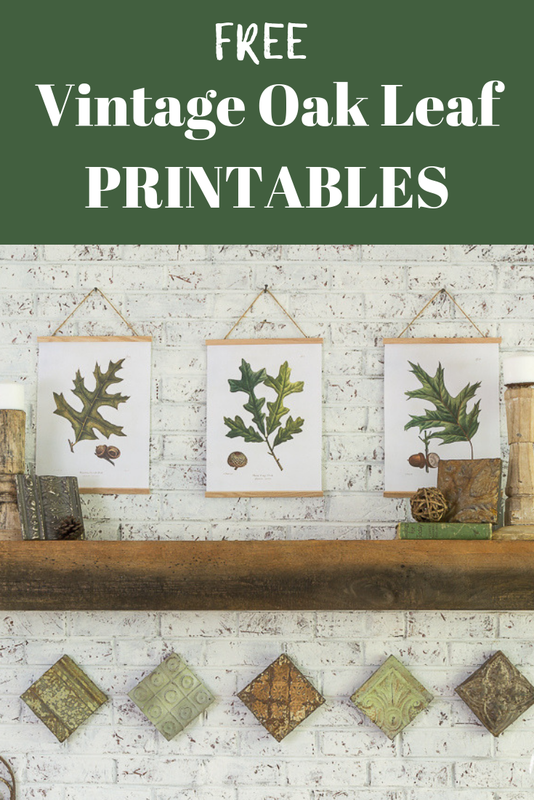 I love the scarf and oak leaf printables made into little hangings. Shared them to my Crafts and Sewing ~ Fall and Holiday Decorating boards for you. <3 Stop by and share them at Share Your Style this week ~ I am one of the new hosts. Angie, your mantle area is gorgeous! I love the copper and green together so much! Thanks for putting this fun group together! Angie, your fall mantel is gorgeous! Love how you styled the copper tub. I picked one up at a garage sale last summer, but I haven't decided yet how to use it. Thanks for the inspiration, and for hosting this lovely tour! I actually love sage green in the fall! I stumbled on it last year and made the fall seem so much softer than the busy orange. Your mantle is just lovely withe the botanicals and soft green. Thanks for organizing this lovely tour. So many great ideas for fall inspiration. Green is my go to fall color and I love how you paired it with the copper. I know everyone is always all about the oranges, reds, and yellows at fall, but I always seem to gravitate to choosing the greens and whites when picking pumpkins and leaves. 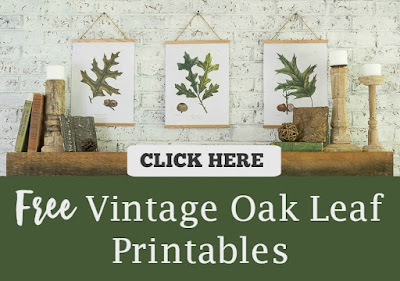 LOVE the oak leaf printables as well. Thank you so much for including me in this group for fall!